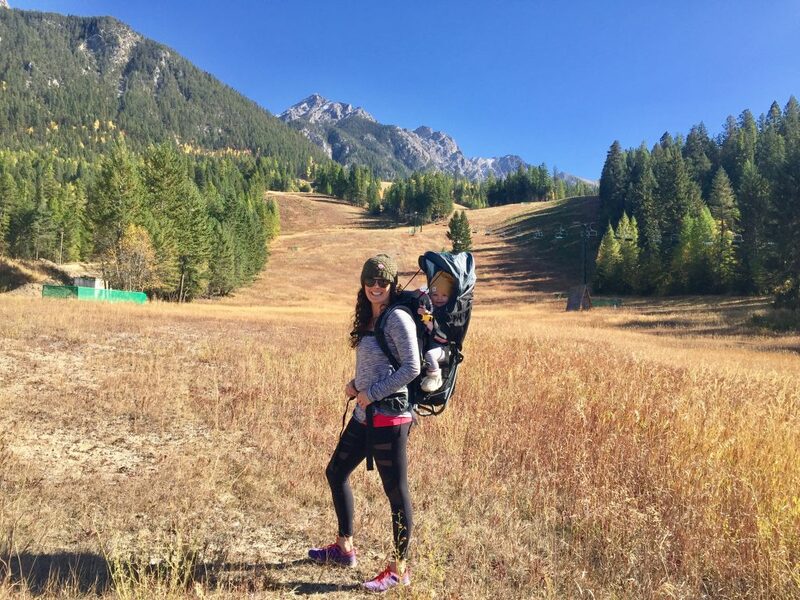 For today’s guest post, I asked my friend and colleague Jessie Mundell to share some of the biggest myths we hear about exercise during pregnancy. Myths can be perpetually shared through word of mouth or in popular media, and the whole point of busting myths is to help us get more from our workouts, especially during a time in our lives that they can have a multitude of benefit. In pregnancy, workouts can make the difference between a tough recovery postpartum or an easier one, sweating regularly can result in healthier babies, and finally, consistent, smart pregnancy exercise can greatly assist during labor and delivery. 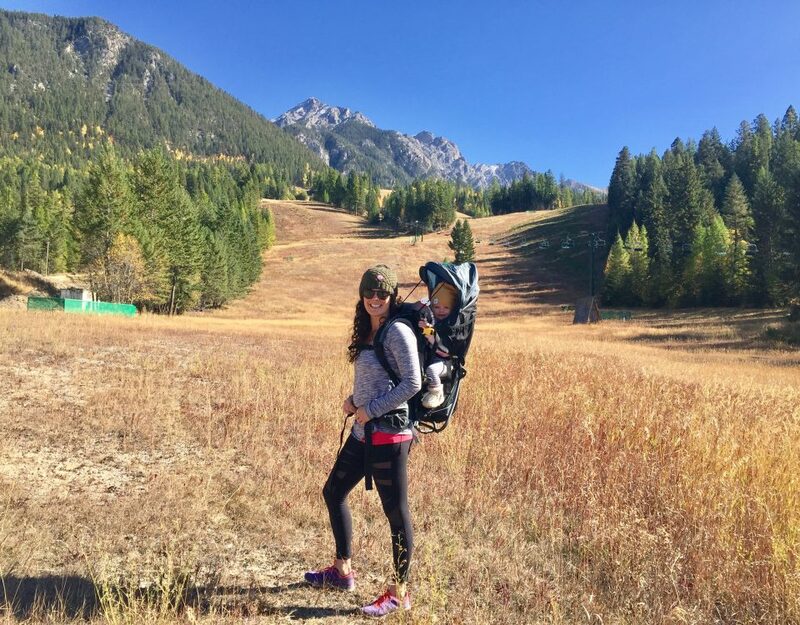 I’ve been doing Jessie’s To Pregnancy + Beyond workouts during my pregnancy and am excited to share with you some of the reasons why, today! So there is great reason to exercise during pregnancy, and this is how we do it the smart way. Myth #1: Exercise in pregnancy is dangerous. For healthy, low risk pregnancies this couldn’t be further from the truth! Many health outcomes for moms and babies are better with prenatal exercise. Studies show that fitter moms have shorter labors, less chance of preterm labor, fewer complications, and shorter hospital stays. Interestingly, women who exercise during pregnancy report lower rates of perceived exertion during labor, than women who did not exercise. Labor IS extremely physical, so this is a great reason alone. You’re training for an event, after all. Moms who exercise in pregnancy tend to have lower reported rates of incontinence, low back pain, and reduced symptoms of depression. Source. The benefits are truly physical, mental, and emotional in nature for moms. Plus, it’s well documented that babies show higher APGAR scores and better handle the stress of labor when moms have exercised. Myth #2). Your heart rate should not exceed 140bpm in prenatal exercise. This myth is going out of fashion. We currently do NOT recommend limiting the maximum heart rate to 140 beats per minute, if you feel comfortable and safe. If you’re a beginner exerciser and 140bpm feels like a moderately challenging zone to be in during your workout – perfect! If you’re a more advanced exerciser and are comfortable with getting in the 150-160 range for periods of time during your workout – great! 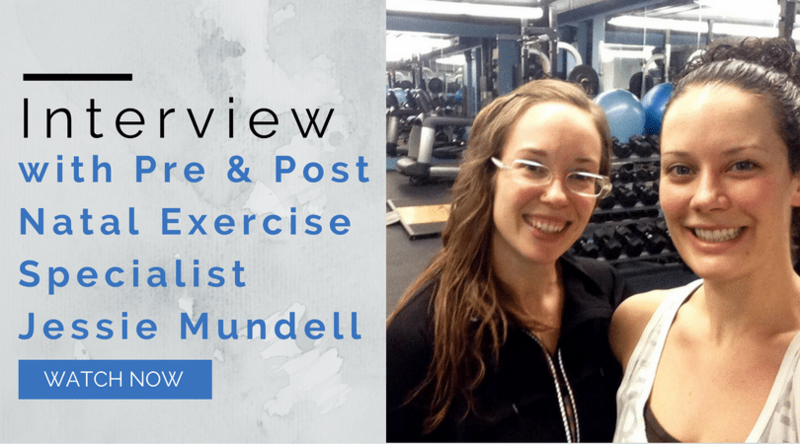 I recommend using a Rate of Perceived Exertion (RPE) and the “Talk Test” to guide you. On a scale of 1-10, 10 being SUPER HARD and you can’t go on, I recommend staying in the 6/7 range. If you’re feeling good, being appropriately challenged, breathing harder but not out of breath, and allowing ample recovery during and between your workouts—keep doing what you’re doing. NOTE: your heart rate is going to rise and recover through your exercise session. You may see it increase to 150 after a set of walking lunges and then decrease to 120 as you rest between sets. This is a great way to train. Keep in mind, your body and your baby are going to go through stressful periods during labour and delivery. 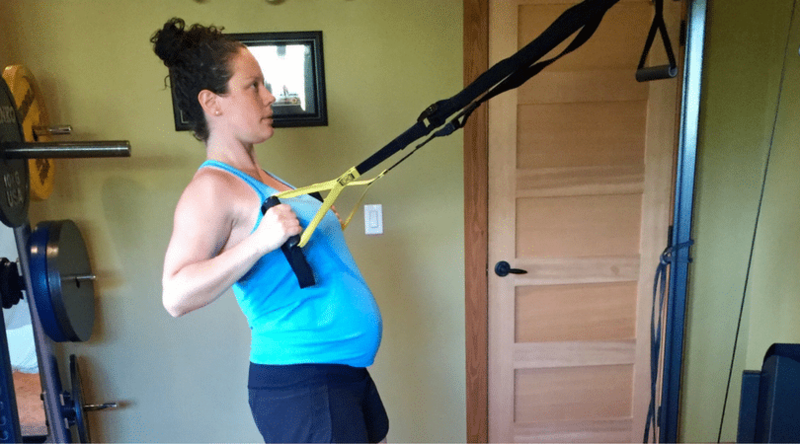 Think of your strength and interval training as test runs for the impending contractions of labor. You work hard for 30-60 seconds, rest, and repeat. This is what prenatal training is all about. Preparation! Myth #3). Only stick to walking and yoga during pregnancy. Walking and yoga are fantastic activities to have as part of your prenatal exercise routine, if you enjoy them. That being said, you just can’t beat the benefits of a strength training program added to the mix. 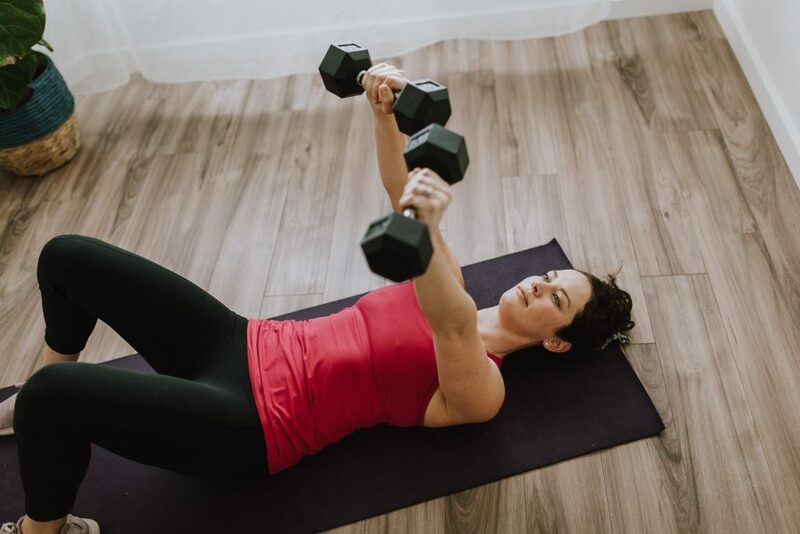 You need to be strong to support your changing body, to maintain your strength as you carry extra weight, to help prepare for of labor and delivery, and to help your postpartum recovery process. Just as your body will experience a multitude of changes as you progress through pregnancy, your program will need to go on a journey too. What your workouts look like in the first trimester will not be what your workouts look like in the third trimester. Keep lifting, or even start lifting, throughout your pregnancy. The beauty of strength training in pregnancy is that exercises can be modified to most any body and this can keep you exercising longer into the end of your pregnancy. This is key for comfort! Myth #4). Stop lying on your back after the first trimester. If you’ve read anything about exercise in pregnancy, you’ve likely seen that you should stop doing any exercises or stretching on your back once you reach the second trimester. Personally, I do not keep hard and fast rules about this for my clients, and did not with myself either in my own pregnancy. Research is now supporting the understanding that you’re likely just fine and doing no harm to baby by doing some exercises on your back if you feel comfortable there. Source. Take note! As long as you feel comfortable on your back, you may continue. If you feel at all light headed, nauseous, or that your breathing is impaired during the bout of exercise or stretching, roll to your side and rest. 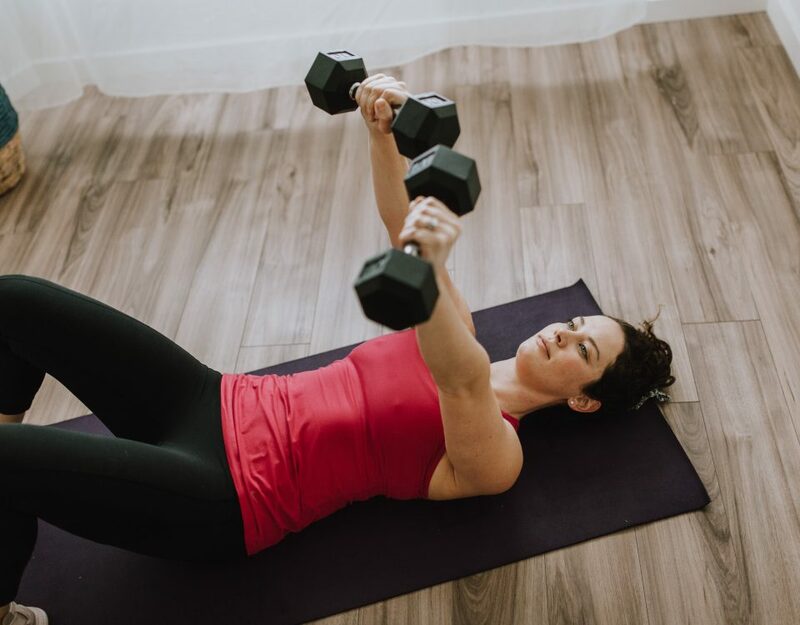 You might not feel comfortable doing heavy lifts while lying on your back (for example, Dumbbell Floor Chest Press) later in pregnancy, or any activities that keep you on your back for extended periods of time (more than 1-2 minutes, for example). 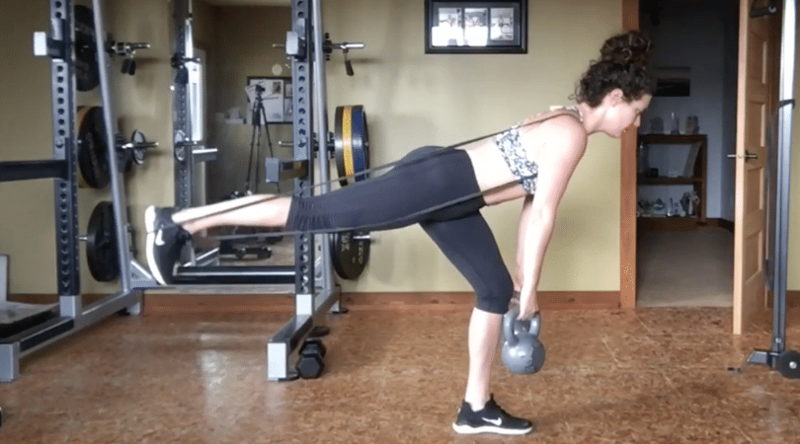 Luckily, there are so many modifications we can use to keep you doing a similar exercise variation and strengthening the same muscle groups. Myth #5). Keep doing what you’ve been doing for exercise. This myth is one of the most frustrating for me because I believe it’s misleading so many mamas. The assumption that if you were running three miles a few times per week before pregnancy, you’re fine to continue doing so in pregnancy. The assumption that if you were deadlifting double your bodyweight before pregnancy, you can keep deadlifting this weight during pregnancy. The assumption that if you do yoga regularly that your practice won’t need to change. There needs to be modification to all of these scenarios for a pregnant mamas best body health. It’s not so much a matter or fitness or strength in many of these scenarios, you may be physically capable of getting through these activities. However, it’s more so about protecting your body, particularly your core and pelvic floor, to ensure you’re not causing undue damage that could lead to a more challenging postpartum recovery. There you have it – 5 myths of pregnancy exercise, busted! There are so many beneficial ways to exercise in pregnancy. It’s really about figuring out what helps make you feel best and gives your body and baby the support it needs through all the changes you’re going through. Thanks to Jessie for this fabulous information, it is super helpful to have more specific, science-backed advice to support our pregnancies. I’ve been following Jessie’s safe (and challenging!) workouts as a member of her To Pregnancy & Beyond Community during my pregnancy and have loved having everything laid out for me each week. I want every pregnant and postpartum woman to experience the knowledge and support I’ve gained from Jessie during this time filled with tons of change and lots of excitement, so head on over and check out the community.